First, let us explain a DST. DST stands for Delaware Statutory Trust. Here’s the full technical definition: a separate legal entity established under a trust created for the purpose of holding, managing, administering, investing, or operating a property, or for allowing business/professional properties to have multiple trustees where each owner has beneficial interest for federal tax income purposes and every owner gets an undivided fractional interest in the DST property. These properties are not limited to the state of Delaware, but the idea of a DST was created under Delaware law. A DST allows each investor to own a fractional interest in a property with other investors, not as limited partners, but instead as their own individual owner inside the trust. Everyone will receive his or her own percentage share of the potential income, tax benefits, and potential appreciation of the whole property. Each owner is treated as owning an undivided fractional interest. 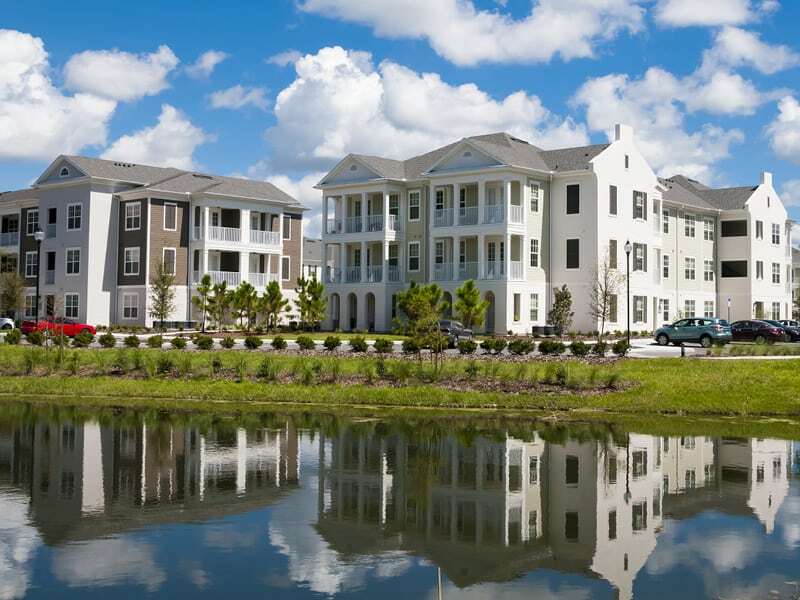 This allows the minimum investment to often be as low as $100,000, allowing investors to not only be able to invest in properties that can be too expensive to purchase individually (like large multifamily apartment communities, office buildings, industrial properties, single tenant net lease retail, self-storage facilities, and medical offices), but to invest their money into multiple properties, diversifying their real estate portfolios. Okay, so a DST is a type of property ownership that can have multiple trustees where each owner gets their own fractional interest while being treated as an individual owner…why should I be interested in that? Well, let’s say you’re a landlord of a multifamily residential property. You’re the one the tenants call when there’s a leak, a mouse, cockroaches, loud tenants upstairs, bed bugs… it’s your job to handle all the problems. Fun! So much for retiring from the daily grind! But in a DST, you wouldn’t get these calls. Someone else handles the professional management while you sit back and still have your investment money working for you. This is called a passive investment. So investing in a DST with multiple properties would let me put my eggs in multiple baskets without needing to manage any of the properties. If I sell my property to invest in a DST, wouldn’t I lose a lot of that money to taxes? You can defer the Capital Gains Tax through a 1031 exchange. If you’re going to sell your property, you only have 45 days to identify replacement property or else you are going to be slapped with the Capital Gains Tax and/or the Depreciation Recapture Tax (usually at a rate of 25%) along with state taxes and sometimes the NIIT (the medicare sur tax). If you’re an accredited investor (meaning you have an annual income of at least $200,000 or have a net worth of over $1 million exclusive of primary residence), you can defer the Capital Gains Tax and its friends by investing your money into another property within the mandated timeframe. This property replacement is called a 1031 exchange after IRC section 1031, which allows for you to postpone paying the aforementioned taxes if you reinvest the proceeds in similar property as part of a qualifying like-kind exchange. Yes, exciting! But before you get carried away, there are a few more things you need to know about a DST 1031 exchange. First, you can only acquire “like-kind” property. This means you can only invest money from a qualified real estate sale into DST property. A qualified real estate sale would typically be any property held for investment or business purposes. You also cannot invest money from selling your primary residence into a DST property (since you cannot 1031 exchange out of your primary residence) nor can you sell an investment property and invest it into a primary residence that you would live in. You must have both properties open to investment or business purposes. Your debt counts as money you need to invest in the new property. If you have $700k in equity, and $300k in debt, Uncle Sam requires you to purchase $1 million or more in property in order to defer taxes. You cannot get cash directly from the exchange. Instead, you need a Qualified Intermediary (also known as QI) to facilitate the exchange. A QI is an independent third party who will hold the proceeds and be a part of enacting the 1031 exchange through purchasing the replacement property. That’s where Kay Properties comes in. We provide DST properties that have passed our due diligence program and connect you with the properties that make sense for each investor’s situation. We work with our clients to extensively review different real estate asset classes, locations, the use of debt vs. debt-free real estate, etc. For more details on 1031 exchanges, DSTs and our process, please register at www.kpi1031.com or contact your Kay Properties representative. There are material risks associated with investing in real estate, Delaware Statutory Trust (DST) properties and real estate securities including illiquidity, tenant vacancies, general market conditions and competition, lack of operating history, interest rate risks, the risk of new supply coming to market and softening rental rates, general risks of owning/operating commercial and multifamily properties, short term leases associated with multi-family properties, financing risks, potential adverse tax consequences, general economic risks, development risks and long hold periods. There is a risk of loss of the entire investment principal. Past performance is not a guarantee of future results. Potential cash flow, potential returns and potential appreciation are not guaranteed. For an investor to qualify for any type of investment, there are both financial requirements and suitability requirements that must match specific objectives, goals and risk tolerances. Diversification does not guarantee returns and does not protect against loss. This material does not constitute an offer to sell nor a solicitation of an offer to buy any security. Such offers can be made only by the confidential Private Placement Memorandum (the “Memorandum”). Please be aware that this material cannot and does not replace the Memorandum and is qualified in its entirety by the Memorandum. Please read carefully the Memorandum and/or investment prospectus in its entirety before making an investment decision. Please pay careful attention to the “Risk” section of the PPM/Prospectus. All photos are representative of the types of properties that Kay Properties has worked with in the past. Investors will not be purchasing an interest in any of the properties depicted unless otherwise noted. This material is not intended as tax or legal advice so please do speak with your attorney and CPA prior to considering an investment. This material contains information that has been obtained from sources believed to be reliable. However, Kay Properties and Investments, LLC, WealthForge Securities, LLC and their representatives do not guarantee the accuracy and validity of the information herein. Investors should perform their own investigations before considering any investment.